What's on Mindvalley Media's Virtual Bookshelf? Studying turned me from some random kid in the online world, to starting four companies and becoming the CEO of Mindvalley Media, one of today’s fastest growing publishing companies. In particular, I consistently study sales and marketing to stay on top of the game. Successful people are simply those with successful habits. For me, studying is a habit that brought me success. And I never compromise on my daily study time. Ever. Here are 6 resources on my virtual bookshelf that you’d be crazy not to check out for yourself if you want to succeed in sales and marketing. In early 20th century, Claude C. Hopkins wrote a brilliant piece. It was a 40-page book called “Scientific Advertising”. You can probably read it in under an hour, and it’ll be an hour very well spent. The timeless principles of advertising in this book can pretty much give you your entire marketing plan if you study it deeply. You don’t want to miss out on this. Seriously. When I first began in sales, I had a big mental block that was limiting my success. Thing is, I didn’t even know I had the mental block. Until Jay Abraham came along. His strategy of preeminence exposed flaws in the beliefs I had about sales and how I approached it. The positive change he then created in my mindset was incredible. 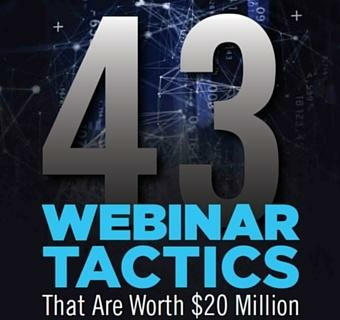 You simply have to watch this 30-minute presentation, and just see how it changes the way you approach sales and marketing. Once you learn this lesson, sit back and enjoy how marketing now just flows through you. This 1-hour talk is both informative and entertaining. Win. Here, Gary talks about hustle and some real good nuggets on “care” and “building value” to establish a memorable personal brand. This is a case study. Gary doesn’t actually teach a thing. But if you follow his story, you’ll gain great insights on how to make social media work for your business. It will give you a knockout social media and content strategy that will transform your business. Have you ever been overwhelmed and stressed by the hundreds of little quirks people tell you to add to your sales system? Well, here comes Jordan Belfort to the rescue. What Jordan brings is an effective way to systemize – and thus quickly scale – your marketing and sales training. Every. Sale. Is. The. Same. Watch it. You will know what I mean. A book every marketing professional MUST read is Influence. The timeless principles in this book will be one of the most solid foundations that you ever lay down for your marketing to become better and better. Then watch this 11-minute video summary of the book. Be sure to send it to your copy team too as something to always keep in mind. How – and why – do people connect to brands? Simon’s 20-minute video answers this question powerfully. He unapologetically shakes up the theory of immediate gains and differentiates good marketing from great marketing. In summary, give people a “reason why” and your brand will fly. Lately, I’ve been delving a lot more into marketing strategy and persuasion formulas instead of tactics. I believe the more mature, older marketing legends have nailed this. Share this article and also share your thoughts with us. What are some of the best sales and marketing trainings you’ve found that are available online for free or download? Check out Selling by Attraction by Hilton Johnson. Well we read books,millions are reading OK but which one is the best advises……. These are all truly great. I found the psychology of the Stoics to be excellent too if you want to improve your persistence and determination to get things done. Awesome – i read 70% of them. That’s pretty cool you dig those books. Classic great book, millions are read them, but how many follow the advisees?? !